Colts Quick Cuts: Episode 3 - Mathew Hill. #OHL - Very Barrie Colts | A website covering the Barrie Colts of the OHL. 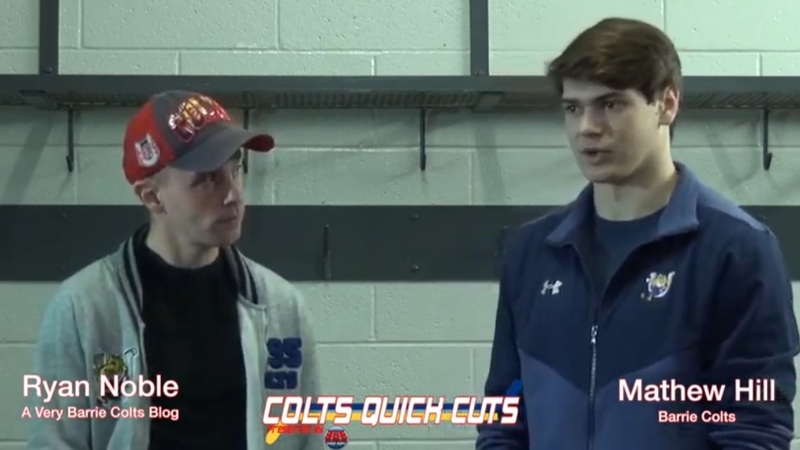 Episode 3 of Colts Quick Cuts with Barrie Colts defenceman Mathew Hill. We teamed up with our good friends at Cheap Seats Productions to put together these interviews! Look for more episodes soon! Episode 2 with Luke Bignell. Episode 1 with Matej Pekar.